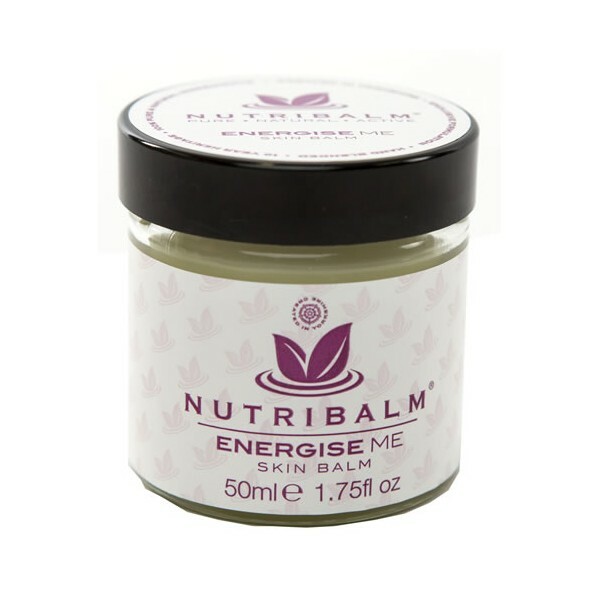 NUTRIBALM® ENERGISE ME Hydrating Skin Balm is infused with refreshing and spicy essential oils, which gently stimulate and restore the senses. An intensive treat for the mind and body! • Excellent for easing aching joints, muscular fatigue, spasms and rheumatic stiffness. • Natural anti-inflammatory and anti-spasmodic formula. • It’s fortifying and restorative properties, may help ease fatigue, comfort the senses and soothe away tension. • Perfect for warming and stimulating massage, particularly beneficial for deep, therapeutic soft tissue treatments. • Ideal for use after sporting activities or physical exertion. • Does not irritate skins prone to eczema and psoriasis. • May be used on: scars, stretch marks, sun damaged skin; even eczema/psoriasis prone skins without irritation. • It is particularly good for dry, dehydrated, chapped skin on hands, heels, knees, elbows and chapped lips. • It’s antiseptic and purifying ingredients may help to ease breathing and nasal congestion. 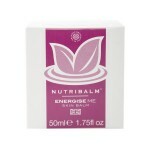 NUTRIBALM® ENERGISE ME, is a unique, ultra-rich formulation, multi-tasking, super concentrated, hydrating skin balm. Hand-blended and gently infused with the scents of refreshing and spicy essential oils, which help stimulate and fortify the senses, easing fatigue, stress and anxiety. 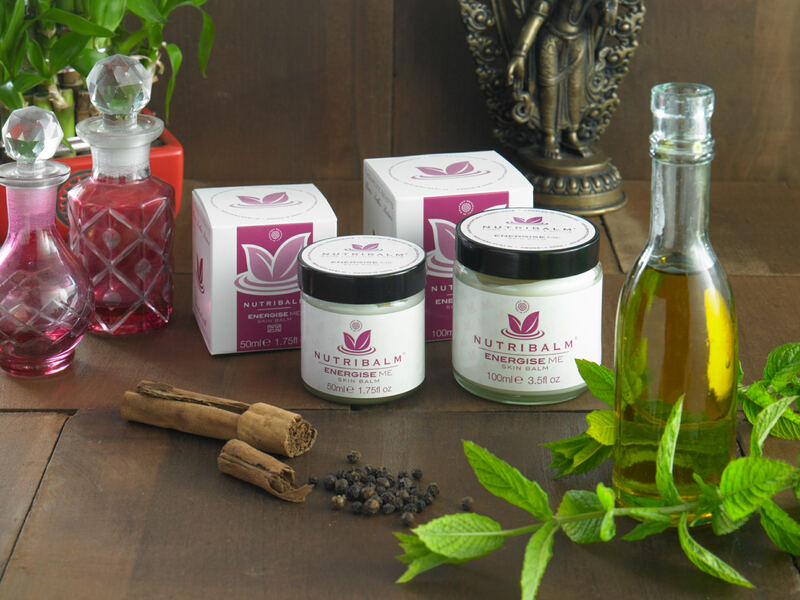 In addition the therapeutic benefits of stimulating camphor, warming black pepper and ginger, comforting clove bud and eucalyptus with their anti-inflammatory and anti-spasmodic properties, help ease muscular tension, joint stiffness and rheumatic aches and pains. Exclusively formulated and created here in Yorkshire. 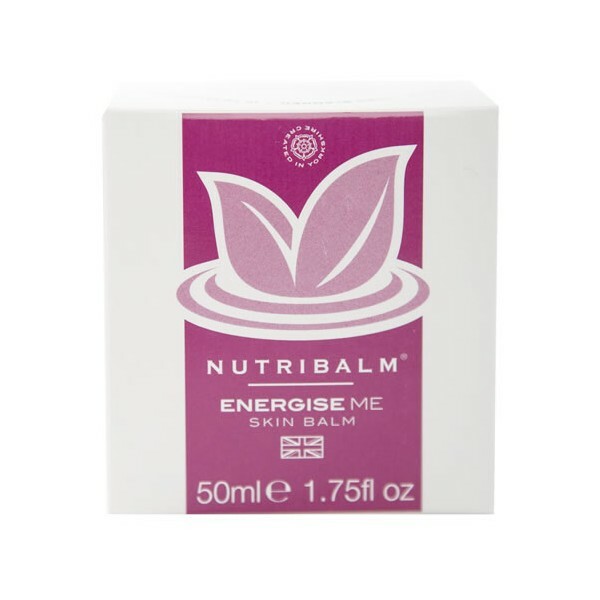 You may use NUTRIBALM® ENERGISE ME hydrating skin balm virtually anywhere on the body. Made with a powerful, therapeutic blend of 100% pure, naturally active, plant oils and botanicals, bursting with protective antioxidant vitamins A, C and E, in a rich cocoa butter formula. 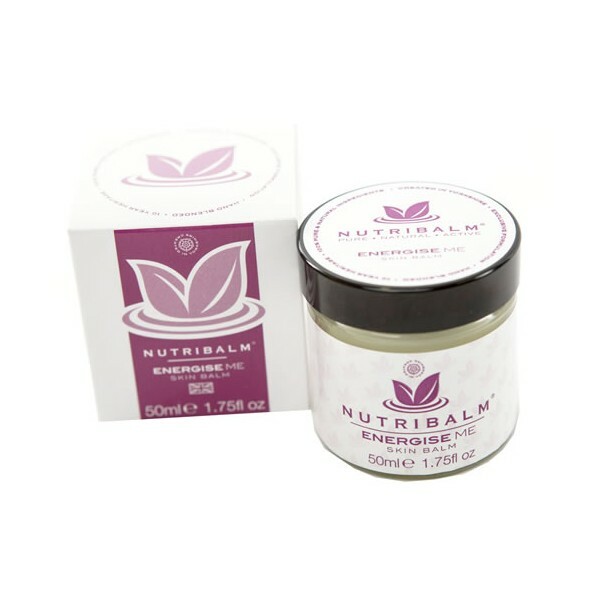 Nutribalm® gently hydrates, soothes and softens skin all over the body. This information is for educational purposes only and not intended to diagnose, treat, cure or prevent any disease. If irritation occurs discontinue use. Avoid direct eye contact. Keep out of reach of infants and young children. Store below 25°C in a dry place away from direct sunlight and heat. • For advice, please contact us via our messaging service, telephone or email.